If you work from home or spend a good amount of time in your home office paying bills, trading stocks online, or writing your next novel, it’s important to have the proper lighting. It’s beneficial to have a well-lit workspace, as well as enough ambient light to protect against eye strain. 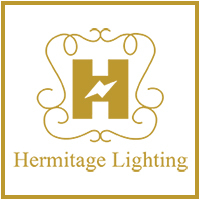 At Hermitage Lighting Gallery in Nashville, we have an amazing selection of home lighting, including options for your home office, den, or work area. 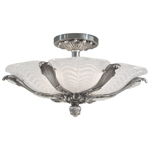 For the ceiling fixture, it can be best to have a flush or semi-flush fixture with high color-rendering bulbs that provide adequate light and eliminate unwanted shadows. You can also opt for fluorescent fixtures, but those can look out of place in a residential setting. 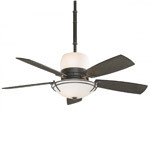 Having more than one fixture can also help, since you need to distribute light throughout the entire space. 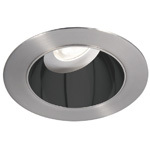 The right fixtures will also depend on the height and design of your ceiling. For your desk or workspace, it’s important to have task lighting, such as desk lamps or wall lamps, to provide enough light while you’re reading, writing, or checking things online. You don’t want to only rely on the light coming from above your head, as this can cause eye strain, and your head and shoulders will cast shadows on the desk. 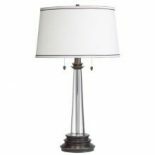 For accent lighting, adding a few floor lamps next to your favorite chair will make it easy to relax with your favorite book or for when you’re checking the news on your phone or tablet. 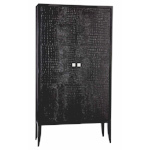 If you’re shopping for new home office lighting, come to Hermitage today. We can help you find the right ceiling fixtures, ceiling fans with lights, and task and accent lighting that looks perfect in your office. We look forward to helping you!